1. Pay your bills on time. This is the best way to improve your score, and it's never too late to start. Even if you've had serious delinquencies in the past, those will count less over time if you keep paying your bills on time. 2. Keep credit card balances low. High outstanding debt can pull down your score. Don't go maxing out your credit cards all the time. 3. Check your credit report for accuracy. It's possible that there may be inaccurate information on your credit report that can be easily cleared up (see How To Fix Credit Report Inaccuracies). If this proves to be the case, then you should contact one of the three credit reporting agencies-TransUnion, Experian or Equifax. 4. Pay off debt rather than moving it around. Consolidating your credit card debt onto one card or spreading it over multiple cards will not improve your score in the long run. The most effective way to improve your score is by simply paying down the amount you owe. 5. Keep your credit cards - but manage them responsibly. In general, having credit cards and installment loans that you pay on time will raise your score. Someone who has no credit cards tends to have a lower score than someone who has managed credit cards responsibly. 6. Don't open multiple accounts too quickly, especially if you have a short credit history. Opening too many accounts in too short of a time period can look risky because you are taking on a lot of possible debt. New accounts will also lower the average age of your existing accounts, something that your FICO score also considers. 7. Don't open new credit card accounts you don't need. This approach could backfire and actually lower your score. 8. Don't close an account to remove it from your record. It's a myth that closing an account removes it from your credit report. This is untrue-even closed accounts remain on your report, possibly for an indefinite period of time and may still be factored into the score. In fact, closing accounts can sometimes hurt your score unless you also pay down your debt at the same time. 9. Shop for a loan within a short, focused period of time. FICO scores distinguish between a search for a single loan and a search for many new credit lines, based in part on the length of time over which recent requests for credit occur. If you shop for a number of loans over too long a time period, it can count against you. Here's how not to be stretched so thin while preparing yourself for your next home purchase. Create or update your household budget and balance it. Account for every penny you earn, every penny you save and every penny you spend to reveal your spending habits. Your spending habits will show you where you can cut back. Get an online assist from Consumer Reports’ recommendations: Buxfer.com, Geezeo.com and Yodlee.com. Move down. The average monthly mortgage payment rose 46 percent during the ten years ending in 2006. Don't wait to be an empty-nester or to fund your retirement. Cash in on a smaller home now. Factor in selling costs, the potential for a capital gains tax hit and higher property taxes, but with enough long time equity, a smaller home could come mortgage free. Sell out, simplify and organize. 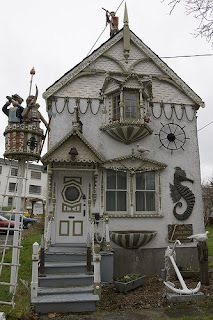 Sell all that stuff that won't fit into a smaller home. Sell all that stuff you'll never use. An organized home is a time-saving home. A time-saving home is a money-saving home, says the National Association of Professional Organizers. CraigsList.com and Ebay.com (Ebay trading assistants will do the work for you) are the usual suspects, but you can open your own cool store on Amazon.com and sell newer, less obscure items for much more than you'd get at a garage sale. Also, give stuff away to charity for a small tax deduction. Shop around for homeowners insurance. Insurance premiums rose 83 percent in ten years ending in 2006, but rates still vary. Comparison shop direct among various companies. Use an Independent Insurance Agent to shop around. Comparison shop online with Insure.com, Geico.com, Progressive.com, Esurance.com and others. Raise deductibles to cut costs more. Save with discounts for home fire safety and security systems, for buying multiple policies (auto, life, health, etc.) from one company, and for avoiding unnecessary claims. Appeal your property tax assessment. In most jurisdictions property taxes are assessed based on a home's price. But in areas where home prices have tanked -- especially if you purchased your home in a bidding war, during the peak of the market -- you could get a tax break. See your assessor or other tax collector for the appeal process for your jurisdiction. Be prepared to prove the value of your home with an appraisal or comparative market analysis of recently sold properties that are as identical as possible to your home. Green up. The cost of energy rose 43 percent from 1996 to 2006, and even more since then, according to the Center. Your home abounds with energy saving possibilities. Check with your local utility and state energy agency. The Residential Energy Services Network offers referrals to energy auditors who can help you uncover energy leaks. Also the U.S. Department of Energy's (DOE) “Energy Savings” page offers a host of additional tips. Get help. Don't hesitate to reach out for financial help. Always contact creditors at the first sign of trouble. That's when more opportunities for relief are available. You may be eligible for mortgage modification, special refinance loans or other assistance that can reduce your monthly mortgage. Don't squander your savings. Bank some money saved to save for a downpayment and pad or start an emergency slush fund. Also use saved money to pay down debt and slay the revolving credit interest rate monster. I am currently a single dad with two great Kids Brittany 12 and Tanner 10. I spent almost 25 years in California before I called Tulsa home in 1997. I was a graduate of the USC business school in 1987 and was self-employed for about 13 years before I started selling residential Real Estate at the end of 1999. I acquired my Brokers License in 2001 and I’ve been a top producing agent in Tulsa for many years. I’ve coached youth sports (soccer, baseball, basketball, football) for several years. I’m also very active with Cub Scouts. I will end a two year term in March of this year as the Cub Master for Pack 585. Our family is active at the Kirk of the Hills Presbyterian Church. I enjoy many sports and activities including water and snow skiing, golf, tennis, hiking, fishing and camping. I run, work out, play racket ball and ride my mountain or road bike weekly. I completed my 3rd Hotter than Hell 100 mile bike ride in August of 2008. My kids keep me active with all of their sports and activities. I also enjoy traveling, reading, music and movies. I like to stay on top of the events of the day with a daily read of the local paper or conservative talk radio. When I want to unwind I’ll keep clicking the dial for a good song that I often will sing along with. I usually will land on Classic Rock at 103.3. I was voted the top real estate agent in Tulsa by two independent labs – Geronimo who is almost 18 years old and 3 year old Buddy who we adopted from the Human Society in 2007. If this one's not your style...we have plenty for you to choose from! You'll have the freedom to run your own search or you can contact The Butler Team and we'll set it up for you. Spring is just around the corner and new properties are coming on the market daily. Now's the perfect time to begin watching the market, even if your purchase is in the future. A foreclosure can be a very good deal and who doesn't like a bargain? Just make sure that your new home isn't more than you bargained for! A foreclosure home is usually sold in "As Is" condition, meaning that the seller (usually a bank) is unwilling to make any repairs. Also, there is usually no prior history or a disclosure about general upkeep, prior problems or repairs made to the property. Of course, you will want to have it inspected by a licensed professional, as you would with any home purchase. This will give you a good indication (but no guarantees) of what you are getting into. Foreclosure homes have a tendency not to have been well-cared for or have appliances or other things missing that are generally included in the sales price of a home. If you are a "do- it yourselfer" or don't mind outsourcing home repairs, than a foreclosure may be a very good option. I have also seen some forclosures that appear to be in very good shape. If you would like more information on foreclosure homes in the Tulsa Metro Area, please contact me at (918) 812-8338 or visit VickiPearsonHomes.com. I am not discouraging potential buyers from purchasing foreclosures, I just don't want them to end up like Tom Hanks and Shelley Long did in the 1980's movie, "The Money Pit." Thinking about great soup or chicken pot pie for lunch? Here is a printable coupon from Marie Callender's that will save you 20% to 50%. It's valid through February 13, 2009. Just click the link, print the coupon, and enjoy. As always, remember to visit my website www.annpickering.com for links to some of the best discount shopping available in the area. It's not too late to take steps now to help you and your home better deal with the unseasonably cold weather we are having. Remember that February is one of our coldest months and it is not unusual to have a big snow here in March. The most important thing you can do is change or clean your furnace air filters. A dirty filter can interfere with the free flow of air, leading to higher fuel costs, overheating and eventual shutdown. - Make sure registers for central heating are open in all appropriate rooms, making sure that registers are not blocked by drapes, curtains or furniture to ensure proper heat and air flow to the entire room. -Set thermostat to the lowest comfortable setting. For each degree the thermostat is lowered and depending on the climate, a homeowner can save up to 5% on heating bills. - Install a programmable thermostat to regulate the temperature at night and when you are away from home. - Insulate water pipes to prevent potential freezing that could result in cutting off the water supply to the home. You can purchase pipe insulation made for this purpose, or even wrap pipes with an ordinary cloth. An additional advantage is that hot water will flow to the faucet faster, so there also is some savings on water. - Replace deteriorating weather stripping. Over the years weather stripping loses its capacity to block air, and can be deceptive because it’s still in place. New energy conservation technologies have improved options for weather stripping. Check your local home improvement store for the latest products. - Water Heater Settings. Set your water heater at low to medium. 120 degrees is recommended for most common uses. Many unsuspecting homeowners never check the setting, which may result in higher energy costs with little resulting benefit. Winterizing your home can provide substantial cost and energy saving benefits, particularly during a challenging economy. With energy costs continuing to increase, it makes sense to take a few moments to evaluate the simple measures that can make a big difference in both the comfort of your home and your pocketbook. Who is eligible to claim the $7,500 tax credit? First time home buyers or anyone who has not owned a principal residence in 3 previous years to purchase. To qualify for the tax credit, a home purchase must occur on or after April 9, 2008 and before July 1, 2009. How do I claim the tax credit? Participating in the tax credit program is easy. You claim the tax credit on your federal income tax return. No other applications or forms are required. No pre-approval is necessary; however, prospective home buyers will want to be sure they qualify for the credit under the income limits and first-time home buyer tests. Any home purchased by an eligible first-time home buyer will qualify for the credit, provided that the home will be used as a principal residence and the buyer has not owned a home in the previous three years. Does the credit amount differ based on tax filing status? No. The credit is in general equal to $7,500 for a qualified home purchase, whether the home buyer files taxes as a single or married taxpayer. However, if a household files their taxes as "married filing separately" (in effect, filing two returns), then the credit of $7,500 is claimed as a $3,750 credit on each of the two returns. Are there any circumstances for which buyers whose incomes are at or below the $75,000 limit for singles or the $150,000 limit for married taxpayers might not be able to claim the full $7,500 tax credit? In general, the tax credit is equal to 10% of the qualified home purchase price, but the credit amount is capped or limited at $7,500. For most first-time home buyers, this means the credit will equal $7,500. For home buyers purchasing a home priced less than $75,000, the credit will equal 10% of the purchase price. Is the tax credit is refundable? Yes, the home buyer credit can be claimed even if the taxpayer has little or no federal income tax liability to offset. Typically this involves the government sending the taxpayer a check for a portion or even all of the amount of the refundable tax credit. Does the credit have to be paid back to the government? Yes, the tax credit must be repaid. Home buyers will be required to repay the credit to the government, without interest, over 15 years or when they sell the house, if there is sufficient capital gain from the sale. Another day out of school and the natives are restless! Hope some of these ideas work for you and you can enjoy your family time. My personal favorite to do that is not on the list is to count the different kinds of birds that come to feed (by the way, make sure you have bird food and a water dish out for our feathered friends) and see who can name them first. 1. Build the tallest card tower you can. 2. Get out all the stuffed animals and turn you living room into a zoo, complete with admission tickets and treats. 3. Make the neatest dominoes track and let the littlest child push the first domino to see it all fall down. 4. Write a newsletter about what your family is doing and send it to all your relatives. 5. Learn some silly songs together. 7. Put on a play and video tape it. 8. Spend a day cooking dainty treats and several kinds of tea. Invite the neighbors in for a formal tea party. 9. Build a Barbie mall with your daughters. 10. Build a car town with your sons. 11. Ask each of them to tell something about themselves that nobody else knows. 12. Get colored pencils or crayons sit at a table and put up dividers so you can’t see each other’s papers. Go around in a circle, each person says to draw one thing, like a tree. Everyone draws that thing and then next person says what to draw. After ten or so things compare pictures and see how different they look. 13. Have a picnic in the living room. 14. Look through, and organize your picture albums. 15. Make paper boats, airplanes and trains. 16. Sail the boats in the bathtub. 17. Put on swimsuits and go swimming in the tub. 18. Build a town out of popsicle sticks. 19. Make an obstacle course out of couch cushions, blankets and pillows. Time each other to see who is the fastest. 20. Make up a new game. 21. The one we did is a spelling game. The first person says a letter and the next adds another letter that will spell a word, they have to have a word in mind because if someone challenges them and they don’t know one they get a point. Whoever says the very last letter of the word gets a point. Whoever reaches five points first is out. 22. Make a magazine collage. 23. Tell a story with each person adding one sentence, see where it will lead. 24. Rip up different colors of construction paper into little pieces then glue them on a white piece of paper to form a picture. 25. Get an assortment of little things, like paperclips, toilet paper tubes, napkins etc., make something unique and crazy with them. Good morning all. I just came in from putting out fresh water for the outdoor dogs, and wanted to remind everyone how important it is that our outdoor friends need extra special attention when the weather is below freezing. Be sure the water is kept fresh and free of ice. Also, an extra layer of insulation is a good idea. I personally use the cheaper horse blankets available at feed stores to layer in the dog bed. A little did I know article came my way recently about moving with pets. There is a website that deals with the total experience and has some great tips, so I am including the information here for you to read. With people moving worldwide for work, Boxers are going bicoastal and cats are clearing through customs on a daily basis. Moving isn’t just stressful for people, it’s equally stressful for pets. So when it comes to moving pets, pre-planning is very important as animals can be very sensitive to changes in their surroundings. Rachel Farris, Relocation Specialist at www.PetRelocation.com offered three top things to keep in mind as a pet owner moving with pets. 1. Make Friends with the Travel Crate-Whether you travel by car or by air, the crate your pet travels in will be his “home” during the trip and it’s crucial that your pet feels comfortable in it ahead of time. According to Farris, “As soon as you know you’re moving, it’s a good idea to get the crate,” Farris said. “That way, you can start getting your pet used to it well in advance. This will help your pet’s stress levels on your move date.” She also pointed out that many pet stores offer crate training classes. Additionally you can try feeding your pet in the crate on a daily basis to help ease the transition. 2. Pick a Frequent Fido Flier-Why should you get extra leg room for yourself but not for your pet? Select an airline that offers first-class accommodations for pets traveling in the cabin or under the plane. “At PetRelocation.com, we only work with pet-friendly airlines that keep pets in climate controlled conditions throughout the flight,” says Farris. “This ensures that every pet will arrive safely at its destination.” According to Farris, Continental and Northwest are both known for their superior pet-safe cargo programs in the US, and Jet Blue just introduced their new JetPaws program, which caters to pets traveling in-cabin. 3. Arrange a Jet-Setter Check Up With Your Vet-If you’re making a trip across state lines or international borders, you’ll need a health certificate issued the week before the flight. “Most states require pets to be current on their rabies shots,” Farris says, “and for international trips, the documentation for importing or exporting pets can be even more complex.” Planning ahead and consulting a professional pet relocation company can ensure that your trip goes smoothly.No matter if your move is big or small it is important to do your research and make plans accordingly when moving pets. This can make all the difference, resulting in a well transitioned pet and a less stressed pet owner. It's A Good Thing We're In Tulsa!!! TULSA, OK (January 26, 2009) – In 2008, amid what most consider the worst financial crisis of our time, Tulsa home values remained stable. The local 2008 YTD average price outperformed the national market. 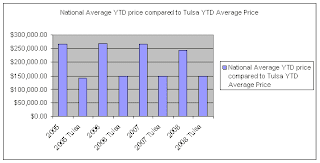 The Tulsa MSA average price YTD showed a slight increase from $146,354 in 2007 to $147,118 in 2008. Nationally, the average price of homes sold in 2008 fell 8.6%; it should also be noted that nationally the average price of $243,100 is almost $100,000 more than the local average of $147,118. GTAR noted that as one major strength of the local market; Tulsa has always had significantly lower prices than most of the country which allows buyers to get more house for their money. Although prices have fallen nationally, lower prices are the stability of the local market. When other markets experienced rapid price increases, we remained steady at reasonable growth rates. The number of closed transactions in December 2008 were 3 fewer than that of a year ago; nationally, sales increased 6.5%. 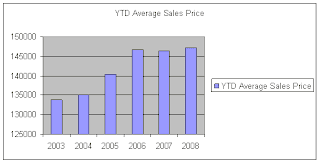 The Greater Tulsa Association of REALTORS® (GTAR) statistics are published monthly by GTAR based on the Northeast Oklahoma Real Estate Services (NORES) multiple listing service data. The statistics are based on residential properties in the Tulsa MSA (Metropolitan Statistical Area), which is defined as a standard government based area. The Tulsa MSA currently includes seven counties: Tulsa, Creek, Osage, Rogers, Pawnee, Okmulgee, and Wagoner. The Greater Tulsa Association of REALTORS® is a real estate organization whose Northeast Oklahoma members are united to provide services; to promote education, professionalism, and ethical standards in order to assist members in better serving the public and protecting the free enterprise system and private property rights. For comments on the statistics, contact NORES President, Gloria Allred at 481-8200 or GTAR President, Harriett Dunham at 825-2847. Well folks, it looks like there is some bad weather heading our way. Be sure you have plenty of staples in the cabinet, flashlights, extra batteries, blankets and water. Don't forget to charge your cell phone and laptop so you will not be out of touch if you need help. It's also a great time to give me a call @ 918-260-6180 and let me send you a list of homes currently for sale that might be of interest to you or a market analysis on your home if you are thinking about selling. It will give you something to do while you are waiting for the weather to break and, who knows, this just might be your time to make a move while interest rates are down. Be safe and drive carefully if you have to get out, but stay home if you can. If you do get out, be sure you have an extra blanket in the car, jumper cables, flashlight and batteries, your cell phone, a light snack, extra dry socks and shoes----don't forget a couple of bottles of water. We can only pray that this storm will not be anything like the December 2007 storm and it will quickly pass leaving us all safe and sound. As always, you can visit my website www.annpickering.com to find out about all the happenings in the area; there are some good kid safe sites there as well. Come back soon and lets talk college basketball and the upcoming NASCAR season (starts in less than 2 weeks with the shootout). Be safe, enjoy the SuperBowl, and come back soon. Life at the Lake is GRAND. Coming up to our house Thurs. Eve. we saw over 200 deer. (No, those aren't preachers figures)! This morning we had over 100 huge geese in our front yard. 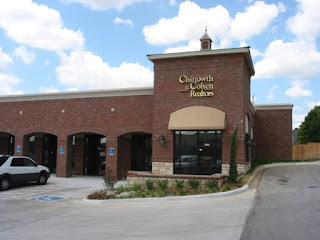 We have been avid Grand Lake'rs for over 20 years and would love to help you or your clients locate/relocate on Grand. Living on "lake time" after the hustle of the city life is something to experience. It is just different. Sonja and Steve Barto are developing a subdivision "The Landing at Grand Lake" which is conveniently located between Ketchum and Langley. This is only 1 hour from Tulsa and they have both water view and waterfront lots. This will be a gated subdivision. Why not get in on the initial development? There are very few good waterfront lots left on Grand Lake. I'm excited about our new blogging. This should be fun and informative. Thanks Sheryl! Labels: Whats Happening at the Lake? Why is there an Auction Sign in my Neighbors Yard? My good friend emailed me the other day and was worried because a house down the street had an auction sign in the yard. I know from other conversations with this friend that this particular house has been on the market for well over a year. I do not know the particulars of the situation but I tried to share with her what types of auctions there are and the basic information regarding how they work. Ironically, since she emailed me, I have seen about 4 Auction signs in various locations around Tulsa and Broken Arrow and it got me wondering how many others were out there asking, "Why an Auction and how does it work?" While I am no expert on auctions, here is some information that I have gathered. A real estate auction is a method of selling real estate. It is an intense, accelerated real estate marketing process that involves the public sale of any property through competitive bidding. An Absolute Auction, which is an auction without reserve. In an Absolute Auction the property is sold to the highest bidder, regardless of the price. This means a sale is guaranteed and typically generates the maximum response from the market place. Many individual sellers, financial institutes and governments agencies use this method. In a Minimum Bid Auction, there is a published/advertised minimum bid that must be met.This reduces the risk for the seller as they know the property will sell for at least the minimum bid and the buyers know they must be able to buy at or above the minimum. The minimum bid price must be low enough create a buzz and excitement and get bidders to the auction. In a Reserve Auction, the high bid is in effect an offer not a sale. No minimum bid is advertised or published and the seller can choose to accept or reject the highest bid within a specified time period, which is typically anywhere from immediately following the auction to up to 72 hours after the auction concludes. There is usually a predetermined price at which the property will be sold and the seller has no obligation to accept a sale unless it is acceptable to them. The biggest drawback in this type of auction is that many buyers will choose not to invest the time and energy to bid on this type of property if there is no certainty they can purchase the property if they are the highest bidder. I hope this helps. If you see a home for auction in your area and want more information about that property, shoot me an email at crodgers@cctulsa.com and provide me the property address and I will email you back any details I find. Wow, I am loving this blog forum. I am amazed at the number of calls and inquiries I have been receiving from potential first time buyers. I think it is due to the atmosphere of hope and change that is sweeping the country. There are many good reasons to consider now to become a first-time homeowner. I will post future blogs that are more in-depth on the subject matter concerning the $7500 tax credit that buyers have questions about, bond money, etc. The Tulsa area market is great and there are many options available to make your home-ownership dreams come true. Please visit me on the CC Tulsa website! #1 Don't correct my spelling! #2 Don't critique my grammar! #3 Don't publicly mock me when we see each other! Other than that, we're off to a great start. Seriously...I would like to use this venue to share information that I've discovered in this real estate journey. My next entry will give you the low down on Mike & I and a little history to the madness! Like so many, I too resolved to get in better shape this year. Year after year, January 1st marks the beginning of healthy diet and exercise, yet more often than not, within weeks we are back to fast food and no time for working out. Well, let's change that! This year Tulsa's Mayor, Kathy Taylor, is challenging Tulsans to get fit, one mile at a time. You can visit http://www.tulsamillionmiles.com/ to log your miles and share your stories. They can even convert your miles to calories burned, so you can track your own weight loss goals. My name is Talena Floyd, and I am a Full-Time Associate with Chinowth & Cohen Realtors. My family and I came to Tulsa from St. Louis, MO in 2007. I had long loved the city of Tulsa before ever moving here. There is no better place to raise a family! Please check my Blog often for Everything Tulsa. The city of Tulsa has welcomed my family with open arms and I would love to do the same for you. Welcome to The Voices At CC Tulsa. Tulsa has abillity to ride out recession. Thank you Cindy Manchester for bringing this article to my attention. I thought I would share it with the rest of us. Please click on the title to read the entire article. I find the Focus Organizer provided to us at our sales meeting earlier this week to be very helpful and educational. As a matter of fact, the entire meeting was very motivating. BTW, I don't know about you, but I find it absolutely incredible that Chinowth&Cohen is the only broker in our area to post such a fantastic numbers for 2008. I'm new to this business, but I think that a 16.5% increase in Total Sold while literally everyone else posted significant losses, is fantastic. Hi everyone and Welcome to my blog. What an exciting time with the New Year and all it promises to bring. I hope that not only will I meet with old friends here, but that some of you that come to see what we are doing will find information that is of value to you, some fun things too, but most of all will become new friends. I will try to keep you up to date on what is going on in the Tulsa area market as well as provide some helpful tips. So, let's get started with a quick note about the market and how it affects you. It's great to be in our area where prices have been more stable than most. Current interest rates are very low and are certainly attractive to those of you who want to move up to a larger space for the same payment you are currently making. A free market analysis and list of homes is available with a single phone call to 918-260-6180. Your tip for the day deals with current safety issues and recalls. There is a single website available that will inform you of past and present recalls for everything from food to cars. Just go to http://www.recalls.gov/ for the latest information. Don't forget to visit my website at http://www.annpickering.com/ to contact me, find out what is going on in the area and what is currently for sale. I hope this information has been helpful to you and you will come back and visit often. Interest in a career in real estate? We offer blended learning through our online school at www.greaterok.realtyschools.net and classes designed to help you pass the real estate exam. For a packet of information on a career in real estate or to discuss your goals in real estate, call me at 918 392-9765. Welcome to Voices at CC Tulsa. 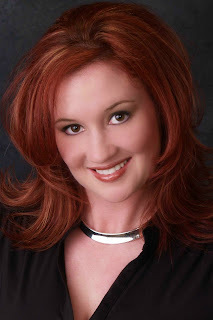 I'm Eileen Neighbors, the Relocation/Public Relations Director at Chinowth & Cohen Realtors. I've been with C&C for over 2 years and have watched with fascination and excitement at the phenomenal growth we've experienced in the Tulsa, Owasso, and Broken Arrow Oklahoma Real Estate Markets. What started out as a company with 25 associates has now grown to over 250! A person can really feel the energy and enthusiasm among our Realtors and staff when they visit our offices! I hope our blog provides you an insight into our company and our associates. 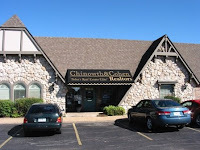 Chinowth & Cohen Realtors has 4 locations throughout the Tulsa Metro area: Tulsa, Mid-Town Tulsa, Owasso and Broken Arrow. Our associates are highly trained and knowledgeable in all areas of real estate, web technology, marketing and customer service. The first time you meet with one of our Associates, you will see the difference, the elite difference. 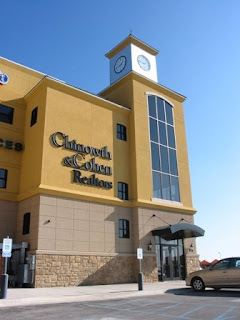 Chinowth & Cohen prides itself on our training, strong support staff, outstanding Oklahoma Realtors and savvy Brokers. As this real estate blog evolves, you will meet more and more of our management staff and real estate sales associates. You'll have at your fingertips a wealth of knowledge to tap into about our community and the current Oklahoma real estate market. We're excited to launch Voices at CC Tulsa and look forward to reading all the blogs!! So it's now time to officially get this party started!